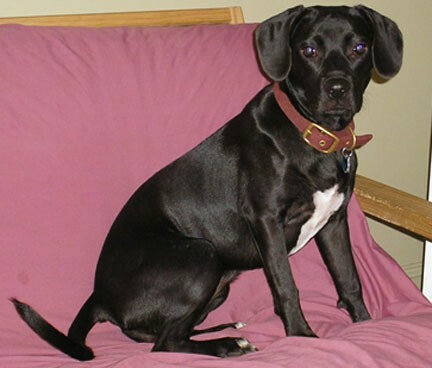 "Ella is an 18-month-old Boglen Terrier (Boston Terrier / Beagle mix). She seems to have more of a Boston Terrier disposition, but really she’s the best of both breeds. She runs incredibly fast and can outsmart anyone in a chase. She’s very bright, but has her own mind. She weighs 40 pounds, so both of her parents were likely large for their breed. Needless to say she’s the best dog in the world." 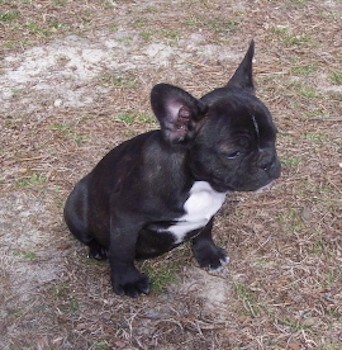 "Bean is a 13-week-old French Bulldog / Boston Terrier cross. He is so intelligent. He is already house broken and plays fetch bringing the toy back every time and dropping it at my feet. This all in two weeks of owning him. He sleeps a lot, but when he's up he plays hard. He is patient, and has yet to bark. 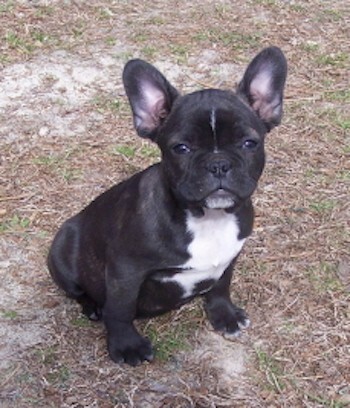 I see both breeds in him thoroughly throughout his movements and temperament."